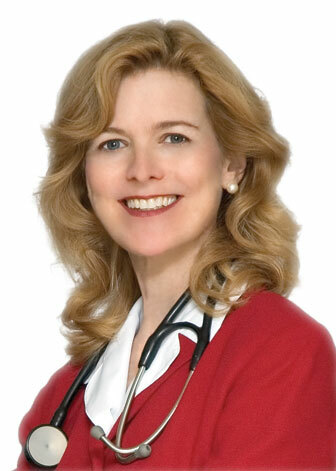 Elizabeth Roberts, M.D. 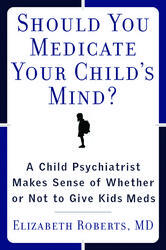 Should You Medicate Your Child's Mind? Elizabeth Roberts, MD is a board-certified Psychiatrist who treats children, teens and adults in private practice at two locations: Murrieta, and Newport Beach, California. Outside of her private practice, Dr. Roberts is the Medical Director at Balboa Horizons, a residential addictions program in Newport Beach for adults. Dr. Roberts has appeared on The Oprah Show, The Today Show, ABC News in Chicago and CBS News Los Angeles, NBC News in San Francisco, on Real Life with Mary Amoroso in New Jersey, and KZSW TV in California. She testified before the US Congressional subcommittee on Human Resources regarding the overmedicating of Children in the United States on October 27, 2011. Should You Medicate Your Child's Mind? Millions of parents are struggling with the decision of whether or not to medicate their children for psychiatric disordersï¿½from depression to ADHD to bipolar disorder. Now physician and psychiatrist Dr. Elizabeth Roberts explains the risks and benefits of medicating and not medicating children and demystifies and simplifies the process of separating psychiatric illness from the other more common behavioral patterns in children, particularly defiance, or willfulness. Dr. Roberts clearly explains what she discusses every day with the parents of the hundreds of children she treats. How is a parent to know which behaviors are bio-chemical and which are simply the result of willfulness? When should a parent seek a child psychiatrist's help in medicating their child? 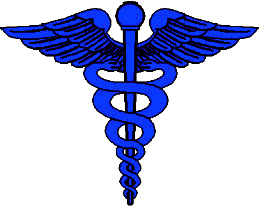 How can you find a doctor you can trust? When is it more appropriate to use behavioral techniques? Dr. Roberts' insight will be invaluable in helping families wade through all the contradictory recommendations that often come from the media, the Internet, teachers, relatives, friends and neighbors. "What you need is not propaganda from either side in the war. What you need is the truth, which is almost certainly in the middle. Thankfully, Dr. Elizabeth Roberts has written this book, a practical, hands-on, no nonsense guide to making one of the most difficult decisions in parentdom. Sheï¿½s laid out the issues, the confusions, the problems and the solutions without getting into partisanship in the war. Her allegiance is to you and your child, to helping you to neither give your child medications he may not need nor to avoid them when they might help. 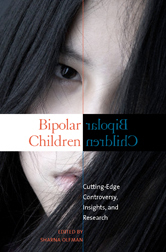 In this book, your child gets to be your child rather than a poster kid for either side of the war going on in psychiatry." Drew Ross, M.D. Also serving Temecula , Newport Beach, Irvine , Costa Mesa, Santa Ana, Santiago Canyon, San Joaquin Hills, Newport Coast, Laguna Beach, Laguna Woods, Laguna Hills, Laguna Niguel, Aliso Viejo, Lake Forest, Mission Viejo, Huntington Beach, Fountain Valley, Woodbridge areas of California.